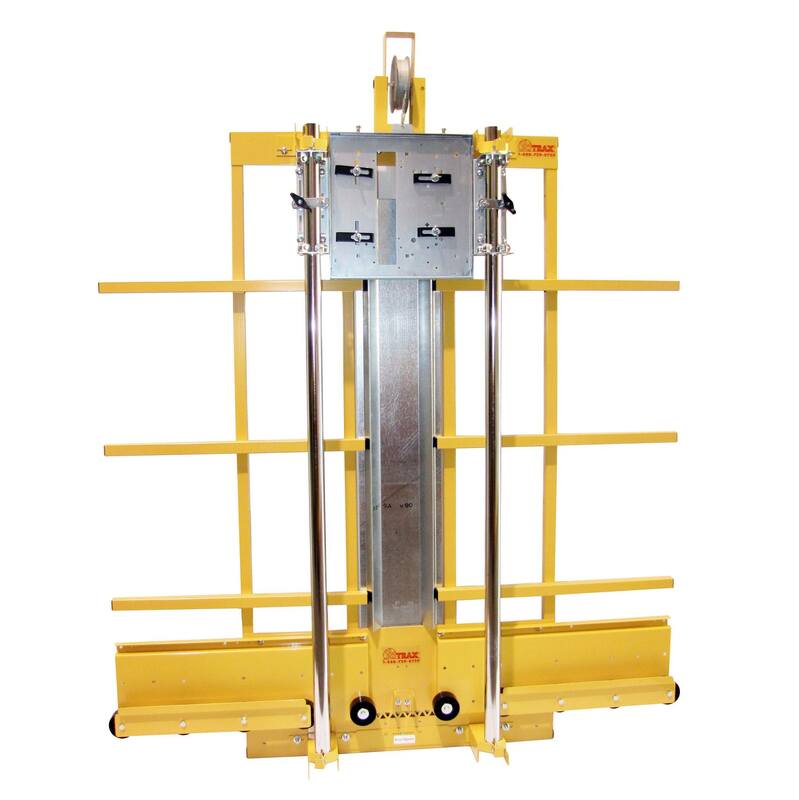 Basic Series Vertical Panel Saw | Saw Trax Manufacturing, Inc. The Basic Series Vertical Panel Saw includes all the standard equipment of a Saw Trax Panel Saw. It is ideal for cost conscious customers. A universal saw insert is provided so the user can mount his 7 ¼ inch circular saw. The universal plate can be inserted vertically for cross cuts or horizontally for rip cuts. The Basic Panel Saw is ideal for customers that need to break down sheet goods, plywood and panels that are up to 1 ¾ inches thick. It is available in the following configurations. Compact 52, Compact 64, Full Size 52, Full Size 64 and Full Size 76. 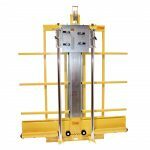 We have the Basic Series Vertical Panel Saw designed specifically for the cost-conscious customer who wants to use their own saw in a panel saw to save money. 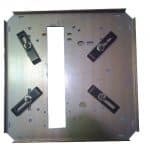 These panel saws include all of the standard equipment, such as a universal saw and universal plate inserts. 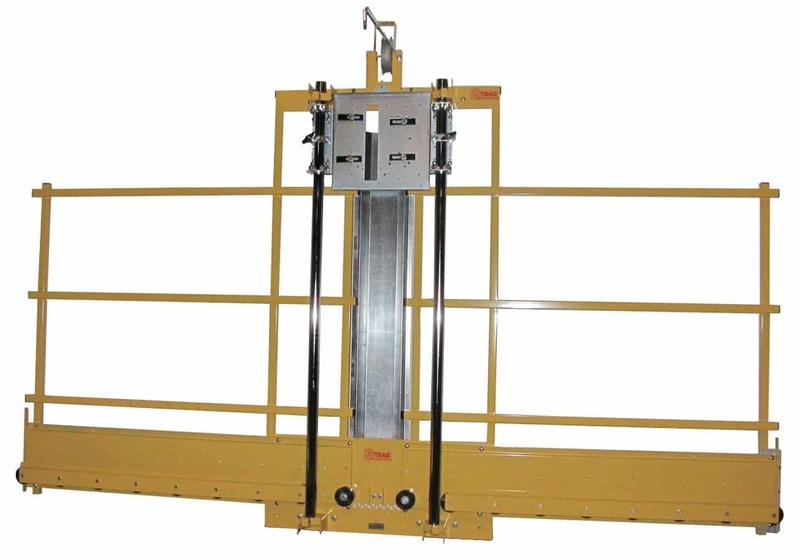 While the Basic Series panel saws do not include a circular saw, they are still equipped with Saw Trax Mfg., Inc.’s patented Accu-Square alignment system. This system prevents your saw from going out of square. It also includes the Accu-Glide sealed bearing system on the carriage. These bearings provide a smooth and precise saw stroke unlike those of other panel saws who use a U-bolt washer system for their bearings. They are designed to fit most major brands of 7.25” circular saws and are ideal for customers that need to break down sheet goods less than 1¾ inches thick without the need a precision measurement system. Not only is the Basic Series perfect for the cost-conscious customer, it is also intended for those with space-constricted shops. 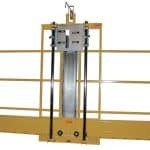 Although basic, these Vertical Panel Sheet Saws can be enhanced. Want to use a router or a utility knife in this unit? Add our Floating Router Plate or our Pivoting Knife Plate. Contact us today for more info!